None. Go figure, I guess the community of nerdy, cross-stitching geologists is a small one indeed. But, not to be deterred, I decided to make my own trilobite patterns. For those who might not have been paying attention in school that day, trilobites, early arthropods, ruled the seas millions of years ago and went extinct before the dinosaurs even existed. They were the single most diverse group of organisms that have lived on this earth and ranged in size from a couple feet to only a few millimeters across. 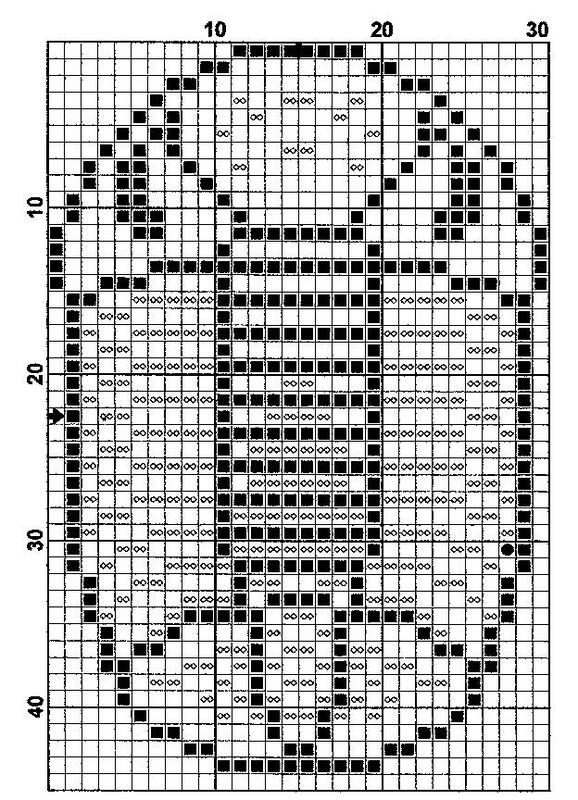 In the interest of science education and encouraging our small community of scienc-y stitchers, I'll post the patterns up here as well. If you would like to share these freebies with others, please do so, but please forward them here and do not copy or sell the patterns. With all that out of the way, here is numero uno, the famous Phacops! Right click and select "save target as" to download. The Phacops genus of trilobites was common about 400 million years ago and is well-known because of their large compound eyes and rounded shape. Fun fact: phacops is latin for "lens-face". Ha! Soooo neat, Jessica!!! Thanks for the pattern. I'm totally gonna stitch this baby up! I mentioned on the HDF board, I wear a sterling charm of a trilobite. :) So OF COURSE I need a stitched one! If indeed you do manage to chart a bunch of the little guys, and make a sampler of sorts, would you share that as well? That'd be awesome! I'm not a stitching geologist, but I'm a stitching nerd who likes cool things, hehe. :) Thanks again, and what GREAT work!!! Thankyou so much for the kindness in posting these trilobite charts. 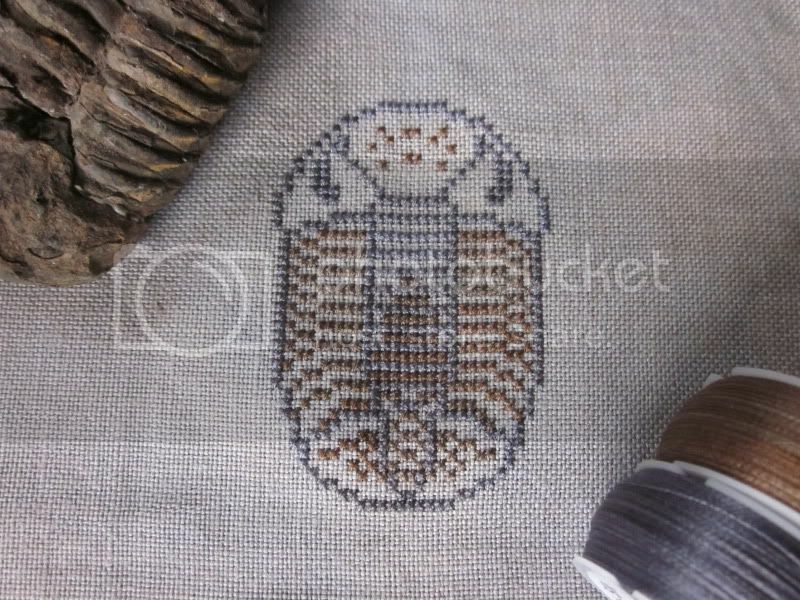 I googled just HOPING that someone had made a trilobite cross stitch chart - how my heart jumped to find out that someone is on the same wavelength as me! I have been looking for a pattern like this for soooo long!!! Thank you very very much! These patterns look fantastic, I can't wait to stitch them up! Thank so much for posting them! First year geology student, that's just finding out that I also have an interest for cross-stitching, here!